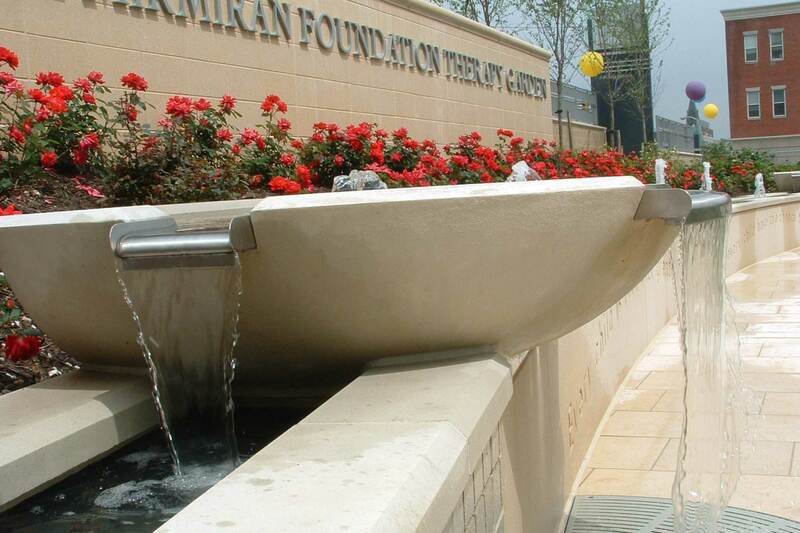 The water feature in Kennedy Krieger Institute's courtyard sits along the outside wall. 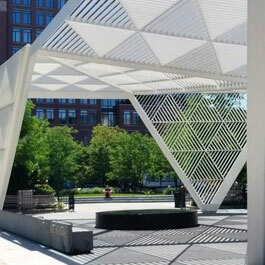 The linear feature contains water jets and cascading water features. The non-linear trough is lined with foam net nozzles and bowl features. 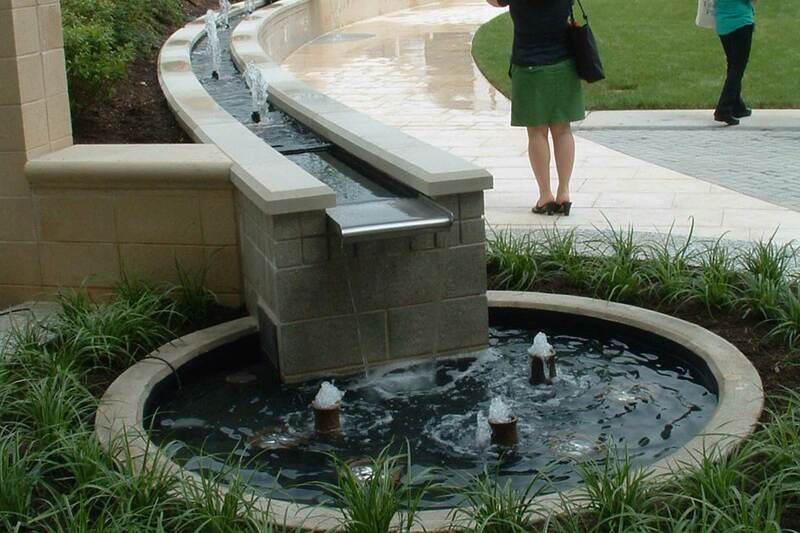 The water feature's non-linear trough falls into a small pool at the end of the trough. 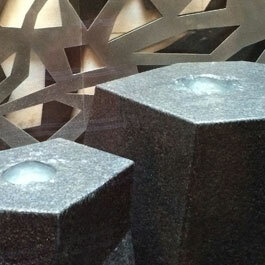 Small geyser nozzles sit within the pool. Other spillways are set for patients to interact with the water. 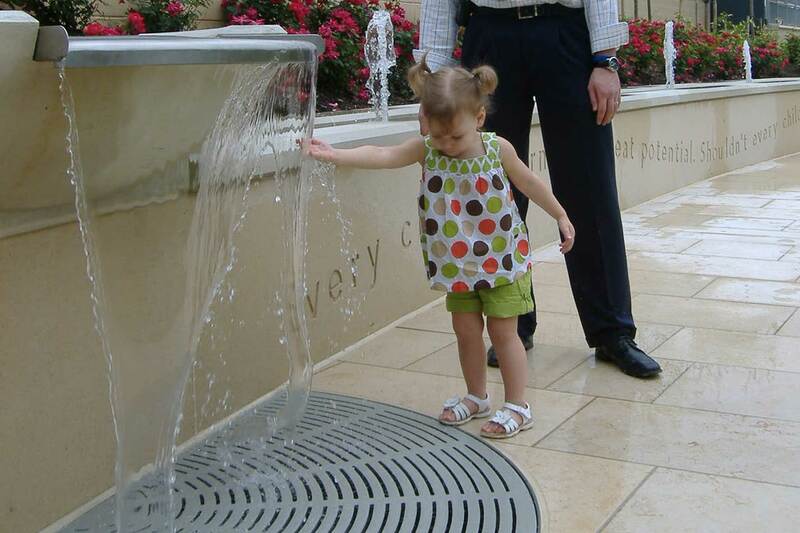 The water features and the courtyard were built to act as a rehabilitation garden for the hospital visitors and patients. 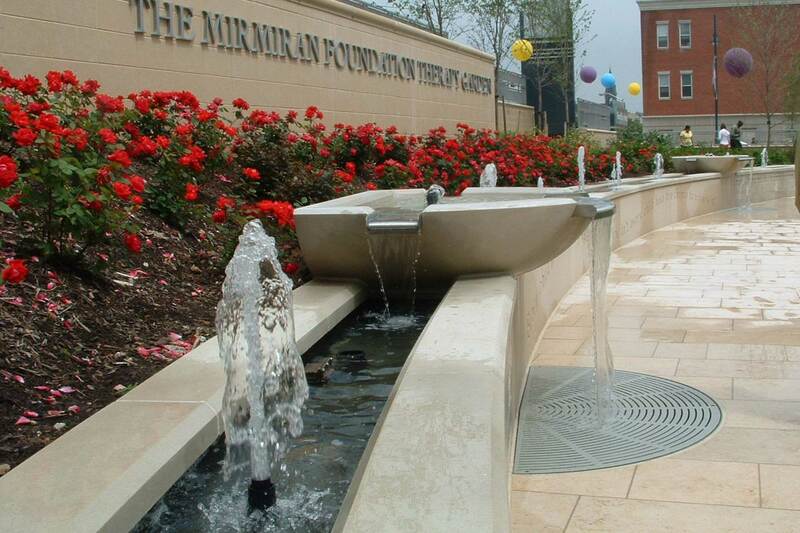 The non-linear trough and water features at Kennedy Krieger Institute wrap around a courtyard for patients and visitors. The courtyard is meant to provide a venue for patients to experience sensory physical therapy and relaxation. The Institute wanted a design that included sound and touch, as well as visual stimulation from the courtyard and adjacent rooms. 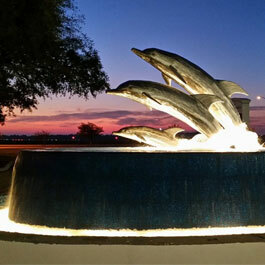 Delta Fountains provided mechanical and electrical equipment for the water features, which includes several types of geysers, jets and spill scuppers. The water feature includes 20 display points, all operating at a low height to encourage patients to touch and feel the water feature. 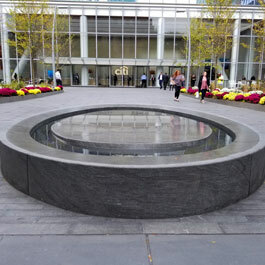 The fountain is linked with a variety of other landscape items and outdoor rooms.